i like the soft pastels. Hoy no es que estorben los colores, pero prefiero sin dudarlo, la de B&N porque al ampliarla pude ver con más limpieza su singular textura. Me recordó a esas situaciones en las que uno se queda absorto en un pensamiento y su interferencia difumina la visión. 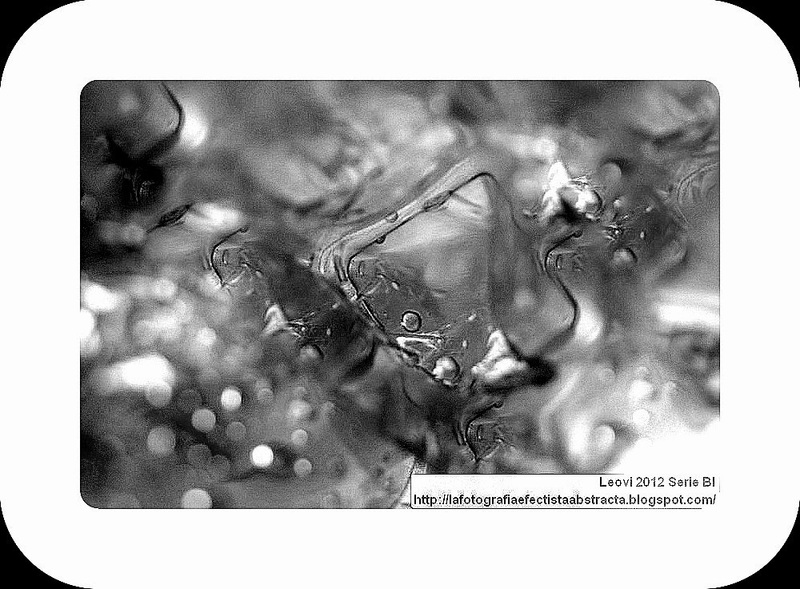 Beautiful photowork, great b&w abstract! Such lovely shapes! So much to see. No veo las dudas por ningún lado, es una preciosa foto. Hoy difiero contigo Juncal, yo prefiero el color! Merci pour ce partage cher Leovi ! The colors are eye catching and that looks like a bottle or a strange ice cub. A beautiful watery abstract, the colours are wonderful! Pretty colors. Love the name for this collection. I love the color and focus in your first abstract! The music was surprising compared with the gorgeous paintings. The first one looks like colors in a rainbow but I also enjoyed two and three. Two reminds me of water running wild and three is perfect for blue Monday! Always my pleasure to stop by and say hello. You do a fantastic job of making us smile! Have a great week! Ooo, it looks like Spring! Thanks for playing today. Como las buenas dudas, dan ganas de zambullirse en ella. Los colores transmten paz, a pesar de parecer un mar revuelto. I love the beautiful soft colors in that top shot. Very nice. Your first image is stunning! First, I saw a bottle immersed in its own colors. Then I saw a lady spanning the frame diagonally, face upturned. SO much to imagine in your photos, which are always gorgeous! Like a bottle in the waves! beautiful spring colors! Thank you for sharing and rocking with us.